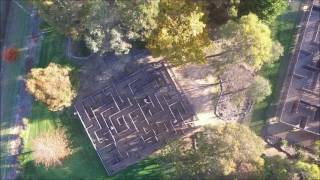 The Granite Belt Maze offers an amazing experience, where each customer has to solve their own unique riddle, while navigating their way through the maze. These riddles don't help you find your way, instead they make you search every part of the maze from start to finish, and actually get you lost. Then there's another maze with a different type of challenge for you to solve and a hexagonal maze with obstacles. There's a fairly challenging nine hole mini golf course, and a giant chess set to play on. Around the grounds are some great photo opportunities, with a guillotine, stocks and a giant chair. They have a well stocked kiosk with pies, sausage rolls, ice creams and drinks, sandwiches, hot dogs, fish and chips and snack foods. Their puzzle table is a trap, once you start on them you're there for ages, just as well they make coffee. They offer hours of fun and entertainment for all age groups.